Whether you are getting married or have been married for years, one thing will always be consistent. That consistency is that marriage takes work. It is not always butterflies and rainbows when it comes to matrimonial bliss. Sometimes there are dark storm clouds that roll through and can be frightening. Today we have rounded up a list of some of our favorite scriptures about marriage and love. These Bible quotes are simple reminders about the beauty of marriage and love. For a little inspiration, hope, and love, read if you are in need of some clarity and encouragement. There are plenty of conversations you should have before and during your marriage. Include some of these wonderful scriptures about marriage in your conversations. This is one of the scriptures about marriage that is absolutely beautiful and true. Love and marriage take lots of work. More importantly one of the things that marriage requires a lot of is kindness. Sometimes, when you are having a rough or stressful day, kindness can go an extremely long way. Keep this in mind the next time your spouse needs a little pick me up. “If I have the gift of prophecy and can fathom all mysteries and all knowledge, and if I have a faith that can move mountains, but do not have love, I am nothing." This is another one of the best scriptures about marriage when you are in need of some strength. This Bible verse is one that is absolutely true. You can have most anything in the world but if you do not have love do you really have anything? Having true happiness can come in many forms. But one of the best forms it comes in is in the fact that you have love to share with someone. “Many waters cannot quench love; rivers cannot wash it away. If one were to give all the wealth of his house for love, it would be utterly scorned." This next Bible verse is Simply one of the most beautiful scriptures about marriage to keep in mind. The thing about marriage is that when you find the right person to marry, the love that you to share becomes something unbelievable. One of the most beautiful things in the world to experience is a love so great that you cannot even comprehend it. You would never want to trade anything for it and no matter how many riches or good you have none of it compares to the value that Love holds. “Let the morning bring me word of your unfailing love, for I have put my trust in you. Show me the way I should go, for to you I entrust my life." This next Bible verse about marriage is one of the most scriptures about marriage because it deals with such a valuable trait in any marriage. This trait has to deal with trust. One of the most important factors in any marriage is having the trust in your partner. This means trusting that they will always be there for you, always support you, and always have faith in you. Having this trust in a partner can make a big difference. It is what gets us through the hard times when we feel like we cannot manage anything. Love without trust can be a tricky thing to deal with in a marriage. So be sure to develop a sense of trust and hold on to it. Look for this scripture about marriage to give you strength when you need it most. 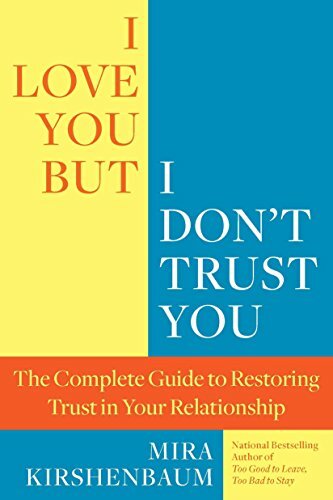 for more information about how to build trust in your relationship, check out this best selling guide, I Love You, but I Don't Trust you. This next Bible verse is one of the most important scriptures about marriage because it deals with the theme of persistence. If you get the opportunity to experience love in your life then do everything to hold on to it and not let it go. When you let love go, the feeling can be devastating and heartbreaking when you feel the sense of loss. That loss can be a difficult thing to overcome. If you are suffering with loss, be sure to have someone that you can talk to. Click here for more information about getting in touch with someone to talk about any depression that you may be going through. This Bible verse about marriage is simply beautiful. Marriage is not an easy "one and done" thing. Marriage takes a lot of work and effort. Part of that work and effort means being humble, gentle, and patient. This is one of the scriptures about marriage that is a stark reminder of this. You have to work at marriage every single day. Not only that, but chances are you will have to do this for the remainder of your marriage. No marriage is perfect. Every marriage will experience ups and downs. It is how you get through the downs that will determine the strength of your marriage. Approaching marriage with patience and humility from the start is one of the best ways to ensure that you have a healthy, loving marriage. If you need a little bit of encouragement in your marriage, then this scripture is for you. “And over all these virtues put on love, which binds them all together in perfect unity." This is one of the most beautiful scriptures about marriage that should remind you of the power of love. It is without a doubt that love is one of the greatest emotions that two people can share. No Bible verse represents this quite so well as this one does. If you and your spouse find yourself going through hard times, find the love that the two of you share and hold on to that. “And now these three remain: faith, hope, and love. But the greatest of these is love." This next Bible verse is one of the most beautiful scriptures about marriage that give a reminder of how powerful love is. Of all three, love conquers all. You can have faith and you can have hope but if you do not have love, do you have anything at all? This is another one of the most beautiful scriptures about marriage that does a great job of reminding you how powerful a strong partnership is. There is nothing more beautiful than going through life with your partner right by your side. Not only does having a partner by your side when the going gets tough make all the difficult things a little more bearable. But having someone with you to enjoy all the wonderful things that life has to offer is simply priceless. Guys, this one is especially for you. This is one of the greatest scriptures about marriage that reminds you to never forget the value of your wife. In the same way that Jesus Christ loved the church, you should love your wife. Devote all your time and effort to her and you will see the reward. After all, it is as the saying goes: Happy wife happy life. This beautiful Bible quote about marriage is a lovely reminder of the power of marriage. When you are united with someone for the rest of your life, you work as a team. In this team, nothing can break you guys apart. No matter the good, the bad, or the ugly. This is one of the best scriptures about marriage to remind you that marriage takes work. Not only that, but the bond between you and your spouse is one that is not easily broken. This simple Bible verse says it all. No matter what you do in love life, do it with love. Whether it is work or hanging out with friends or just your simple everyday tasks. When you take care and precision and things you do, the end result is a quality one. When it comes to marriage the same rule applies. Approach everything in your marriage from a place of love. Even in hard times when it can be difficult to love, find the good and stick with it. When you do everything in love you get back to love. This Bible quote is Simply Beautiful. Chances are you have heard this Bible quote before. What makes this one of the most iconic scriptures about marriage such a beautiful one is that it rings so true. Love is one of the most sacred things that you can share with someone. When you find true love and happiness, it is not a competition. love is not selfish and love is not mean. Instead, true love is everything that is good in the world. Marriage can be difficult to get through. The next time you find yourself needing some encouragement, then give yourself a quick pick me up with some of these beautiful scriptures about marriage.